The history of Nakhchivan in the Middle Ages has important aspects that are reflected on the numismatic innovations and archeological treasures that have been discovered over the years. Naringala Fortress, Arazin Settlement of the Middle Ages and the Nakhchivani rulers’ house of coin minting, represent some of the rarest cultural monuments that have played an important role in the local economy of Azerbaijan and in the strengthening of Silk Way trade routes. Naringala of Nakhchivan is a Middle Ages fortification of Nakhchivan Autonomous Republic (Azerbaijan); it is surrounded by thick defense walls, different administrative and economic quarters where the main rulers and feudal statesmen would shelter their administrations’ wealth and belongings. It is situated in the north of Nakhchivan City and was operational until late XVII century, used as a defense fortification. It has been impossible to restore the fortress walls as it was built in the period before the war of Safavi-Ottomans, an important time that brought a great deal of destruction and damage. At the present its remnants are in the south-east direction of Nakhchivan city and is named “Kohnagala” (old fortress) by the local people. Since the Middle Ages, the territory of Nakhchivan, Azerbaijan, has been an important commercial hub and emerged as the center of gold-silver coin minting and design. According to French scholars and historical sources the northern part of today’s Nakhchivan City was an important center of trade and handicraft; it was the main hub where important commercial and trade deals would be initiated and further executed; to strengthen trade relations with several cities of Iran, Georgia, a number of ports in Bulgaria and the Black Sea, and other cities in Asia minor. The rise of goods production and promotion of trade influenced a greater deal of money circulation and coin minting processes in Nakhchivan. According to International archeologists: in Nakhchivan the first minted coin was instituted by Anushiravani-Adil-Khosrov II shahanshah of Sasani (531-579) in the third year of his administration (534). It is the oldest coin minted in Azerbaijan. According to Y. A. Pakhomov, a historian and a numismatist scholar, the discovery of Sasani coins that are minted with the inscribed sign of “Nakhch” belong to the old Nakhchivani Mint enterprise. On behalf of Sasani rulers: Hurmuz IV (579-590), Gubad II (628), Ardashir III (628-629), Farrukan Shahrvaraz (629), Hurmuz V (631-632), Khosrov III (632), Yezdagir III (632-651); there were minted silver dirhams at the Nakhchivani Mint House. From various numismatic items found as well as their embodied characteristics in this region of Azerbaijan, it becomes clear that Nakhchivan has played a strategic role while situated at the center of the Silk Road, it became an indispensable territory that connected the East – West trade routes and had further bolstered regional commercial relations during the 11 – 12 centuries. Moreover, at the Classical Nakhchivan Necropolis I was discovered one silver coin related to the period of Alexander the Great, of Macedonia, the Nakhchivan Necropolis was built in the IV – II Centuries B. C. and is testimony of the strategic importance that this region of Azerbaijan has played in ancient geostrategic interests. In the XII Century, there was an increase of copper dirham – coin production, named after Atabaylar (Shamsaddin Eldaniz, Mahammad Jahan Pahlavan, Ozbak and others). In the early periods of the Mongol occupation (XIII century) under “Ulug Mongol Ulusbayi” in Nakhchivan mint house, there were issued plain silver dirhams. In the Elkhanilar Period (1256-1357), there was a boom of minting golden coins, silver dirham, and copper currency, under the name of Hulaku Khan and his followers: Muzaffarilar, Juchilar, Jalaizilar; including “ishghal zarb” of Emir Teymur. The operations of Nakhchivan Mint House were intensified during the Safavilar Period. Therefore, the rulers of Nakhchivan ordered the minting of new coins in the names of Ismayil I (1501-24), Tahmasib I (1524-76), Ismayil II (1576-77), Mahammad Khudabandanin (1578-87), as well as fine silver and copper coins were minted after Mahammadi, Abbas I (1587-1629) and his followers. In the same vein, Safavi Ottoman wars had played an important role on the activity of Nakhchivan Coin House, where in the name of Ottoman Sultans “Ishghal Zarbi” there were various minted coins engraved here. The activities of Nakhchivan Coin House continued during the time of Khanliglar, where nameless silver coins were issued with four different monetary values. 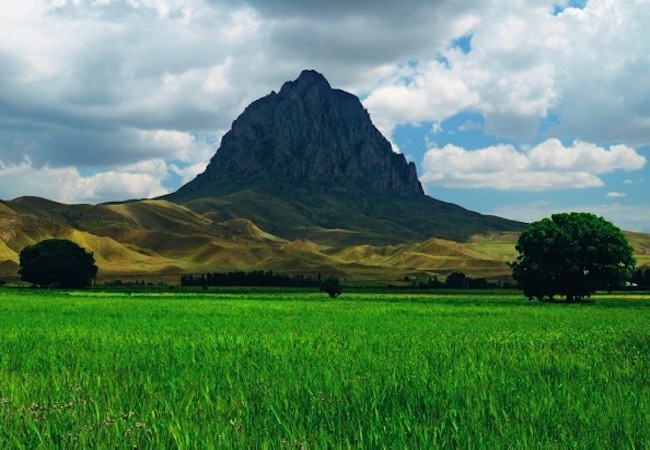 In Julfa Region, to the right of Nakhchivan – Arafsa automobile way is located Arazin settlement of the Middle Ages; it is located to the West of the Village that bears the same name. The toponymy of Arazin is mentioned in the cuneiform script on some of the most important monuments of Urartus, that were built in the IX century B.C., during the attack of Urartus to the territories of Julfa and exemplifies the resistance of Arsini people against them. Some investigators claim that “Arsini” toponymy makes a reference to today’s word of Arazin. This territory and its settlement are bounded by a dry river valley from NE and SW, while some parts of the monument were destroyed during the construction works of 1989. The central part of the settlement extends to 360 square meters and it is partly destroyed. Because of exploration investigations work that took place in 1991, over ground materials (labor tools items, pink color glazed and unglazed faience tableware pieces, burned bricks, construction waste and coins) were discovered. Cultural layer of 2 meters of thickness continue to remain in this part of the monument. Spots of fire places filled with black color ashes were found in some of the destroyed parts. Among the rarest discoveries there is a hook made of copper. Archeological sites in Julfa Region and throughout the Autonomous Republic of Nakhchivan represent rare treasures that are important to human history and serve as tourism destinations for international visitors, while UNESCO authorities ought to take a careful consider Nakhchivan’s archeological treasures. Rajabli A. “Nakhchivan mining (V-XIX centuries).” Azerbaijan History Museum, published in 2003. Is the Iraq-Kurdistan’s referendum a declaration of war against Iran and Turkey? 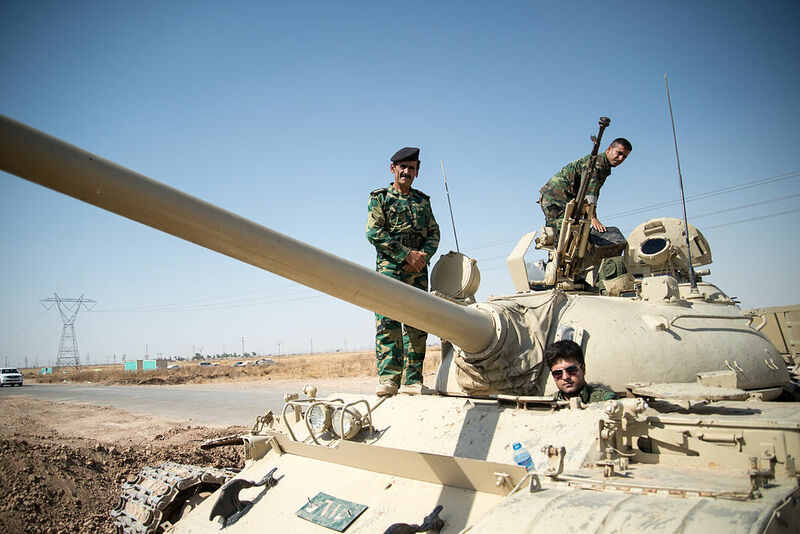 Or another catastrophe for the Kurds?